The Spaniard arrives at Assen as absolute dominator of the Superbike World Championship and with 250 revolutions less in the engine of his Ducati Panigale 4V R.
Alvaro Bautista arrives in Assen as absolute dominator of the World Superbike and with 250 revolutions less in the engine of his Ducati Panigale 4V R after the limitation approved by the FIM. Jontahan Rea, meanwhile, will try in one of its circuits fetish brake the bleeding with respect to the leader. The Northern Irish has been imposed in 12 of the 20 races he has played there and since 2015 he only let out the second race of 2018 that took Tom Sykes, his partner in Kawasaki at the time. And in the fight between Bautista and Rhea and an exceptional witness could sneak in: the rain, since above all rain is expected in the morning. "The goal is the same as always: to work to get the best configuration, the only unknown factor will be the climate", says Bautista, without referring to the limitation. In addition, Assen will also see Héctor Barberá's debut in the category. After his departure from Team Toth, the Dos Aguas driver will climb to the Kawasaki de Mercado, injured in the Aragón round after suffering a fall in the first race. In SuperSport, after the jump from Barberá to SBK, Maria Herrera will continue trying to add points to its classification, while Nacho Calero will look to open his locker after his 17th place in Australia, his 18th in Thailand and his retirement in Aragon. 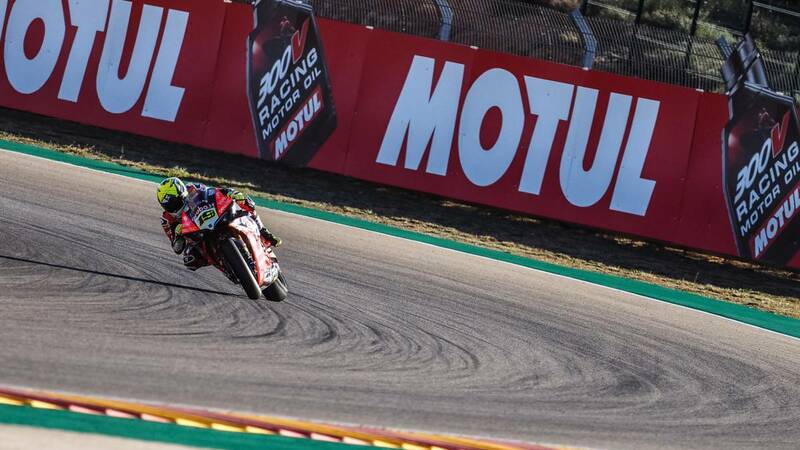 Isaac Viñales, for his part, that touched the podium in Buriram, will have in 'The Cathedral' the opportunity to continue fighting for the highest and make up for his error in Aragón. To finish, in SSP300 arrives leader Manu Gonzalez with his victory in Alcañiz, race in which María Herrera went to the ground and arrives with zero points to the second round of the small category.